Tanvir was born in 1968 in Dhaka, Bangladesh. He was a founder member of MAP Photo Agency with whom he was associated until 1998. Later that year he started his own photo agency?Inscription. His photographs have been exhibited and published both nationally and internationally. 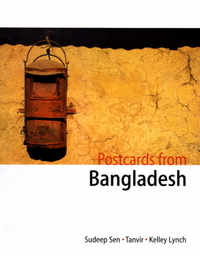 Postcards from Bangladesh is his first book. He lives in Dhaka with his wife Tania and their children Tauseef and Taheea.